I might stop with the “Thank you,” just in case Mom isn’t all that much of a dear, in which case the daughter would seem to be engaging in sarcasm. I do wonder though: if the daughter feels as though she can call own self beautiful in her own way, why can’t she see that that might be true of her mother as well? 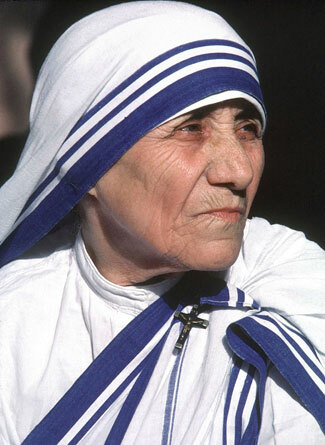 You know I’ve been thinking of Mother Teresa all this week. Who could fail to see her beauty as she went about her work as a pencil in the hand of God? I’d be happy to look like her any day. This was very moving to me late as I might be in saying so.. It lifts all our eyes! How do you think to write the things that I have always felt but could not put into words?